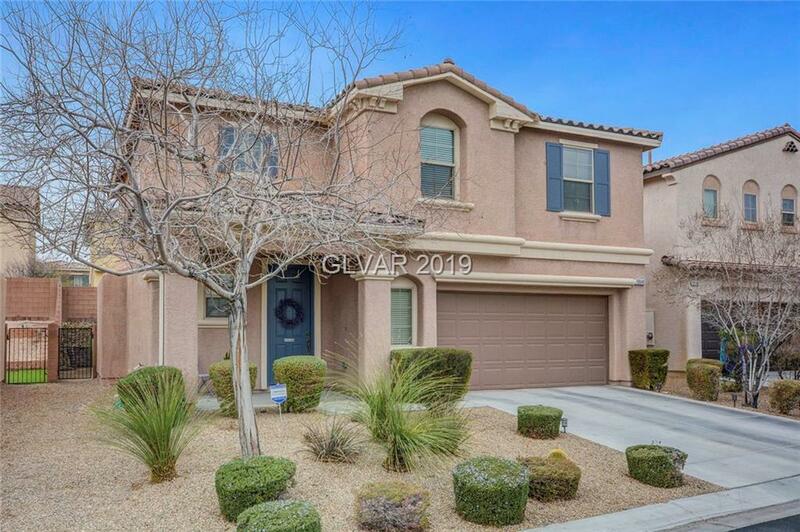 Beautiful immaculate, upgrades, shows like model, priced to sell! Kitchen w/granite counters, island, breakfast bar, upgraded cabs, S/S appliances, eat-in dining area. Custom paint; tile & carpet flooring; 2â wood blinds, ceiling fans, recessed lights, alarm system, laundry rm upstairs w/washer & dryer, tile in baths. Large MBR & MBA w/sep shower & tub, dual sinks, WIC. Newer water heater & softener. Lg lot, cov patio, deck, planter, landscaping. Directions: Take Rainbow Or Buffalo To Cactus. Off Buff, Go L On Cactus; Off Rainbow, Go R On Cactus. Then S On Cliff Lakes, Then R On Coppertip, Then L On Cave Ridge. Home Is On R.